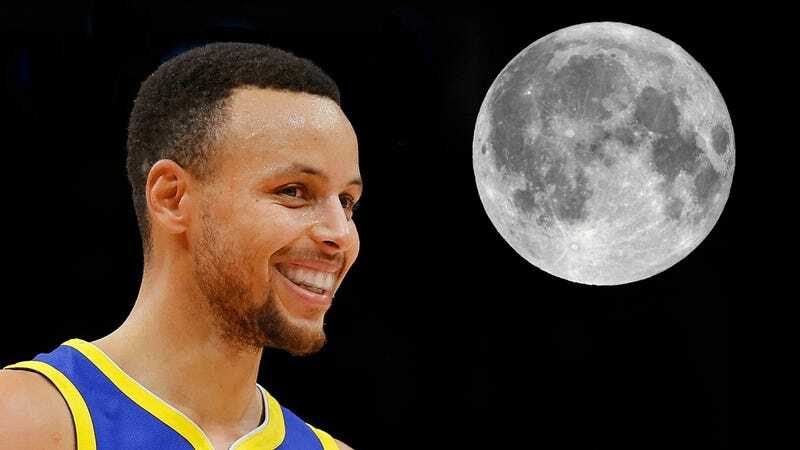 Steph Curry Is NOT a Moon Landing Conspiracy Theorist, OK? I don’t know, did we land on the moon? Plenty of people do not believe that we did, including the people in the farthest reaches of the internet and the most spiral minded Stanley Kubrick fans, but Stephen Curry, nice-guy star of the Golden State Warriors and husband of Ayesha Curry, is not one of these people, OKAY? DEFINITELY BELIEVE HIM WHEN HE SAYS HE IS NOT! Finberg expressed some skepticism, asking Curry to clarify, and he said he did not believe the United States had landed on the moon, leading to a short discussion of some of the more popular conspiracy theories, including one asserting that the film director Stanley Kubrick had staged the entire thing. Do you understand, everyone? He was silently protesting, yada, yada, yada! The custody agreement between Angelina Jolie and Brad Pitt doesn’t seem to include children Pax and Maddox, mainly because Brad was allegedly weird about adopting Pax after they had baby Shiloh, and also perhaps because Brad is allegedly a b-hole and Angelina is allegedly also a b-hole. Look, I don’t know their lives, but this Us Weekly story is messed up and anytime there are kids involved, adults need to just A) get over themselves B) start stashing away money in a children’s therapy trust fund for when they inevitably do not get over themselves.